One of my all-time favorite movies is Moneyball, adapted from Michael Lewis’s book Moneyball: The Art of Winning an Unfair Game. In the first pivotal scene of the movie, Peter Brand explains to Billy Beane, the Oakland A's general manager, that the current methods of building a winning baseball team might be backwards. Moneyball tells the story of how Beane built a winning team without paying outrageous salaries for the so-called top players. The same thinking can be applied to your real estate business: Your goal shouldn't be to buy leads; in order to win clients, you need relationships. But the problem many agents face is an imperfect understanding of where relationships—authentic, meaningful relationships—come from. The truth is, they can't be bought. Relationships must be nurtured over time. In this post, I’ll pull back the curtain a bit and share a few strategies we use to build strong relationships with our customers here at Realvolve. But first, let's talk about funnels. 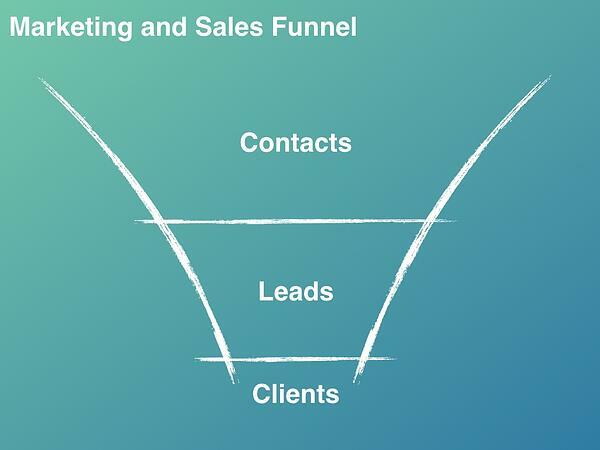 I am fascinated by marketing and sales funnels. Viewing your marketing strategy through a funnel will give you a more perfect understanding of where meaningful relationships come from, and how those relationships convert to "wins." A basic marketing and sales funnel has three levels. The top is full of your contacts. Typically, these will be your close friends, acquaintances, family members, people from open houses, those who’ve opened doors you’ve knocked on, and people who have filled out a form on your website. This is where your relationships come from; not from web leads you've purchased, but from the contacts already in your database or real estate CRM. The goal is to move these people down the funnel, converting them to leads and, eventually, to clients ("wins"). So, now that we know where these relationships originate, how do you connect with these people in a way that will move them from the top of the funnel to the bottom? Here at Realvolve, we share the same challenge as real estate agents: our top-of-funnel contacts are coming in from all different sources (our website, our blog, third-party aggregates, social media, in-person events, etc. ), and we know little or nothing about many of them. Our goal is the same as yours: to build relationships with these people so that they will eventually want to do business with us. We'd like to share two of our favorite strategies for moving these contacts down the funnel. Many of the people in your top of funnel are essentially strangers. Your relationship with them is weak, if not entirely nonexistent. You don't know them, they don't know you—and they certainly don't trust you. You can earn that trust by providing valuable content. Share market information, perspectives from property experts, home improvement DIYs, and any other information that is relevant, useful, and interesting to your contacts. Be creative. As you continue to communicate value to your contacts over time, you will earn their trust and remain top-of-mind (so when they’re ready to sell, they'll think of you first). Become a resource of information that homebuyers can't find online—which neighborhoods are filling up with young families, for instance, and which have more teens and college-bound kids. This type of insider info is exactly what consumers want and need! The mistake we all make is assuming that our contacts see our texts, read our emails, listen to our voicemails, and keep a rolling tally in their heads each time we reach out. But this truth is, much of our outreach is ignored—and that's no way to build relationships. To overcome this challenge, we need to remind our top-of-funnel contacts of the previous times we've reached out, and pair our communications together for a "stacking effect." So when we leave a voicemail, we should reference a subsequent email or text message we're going to send. 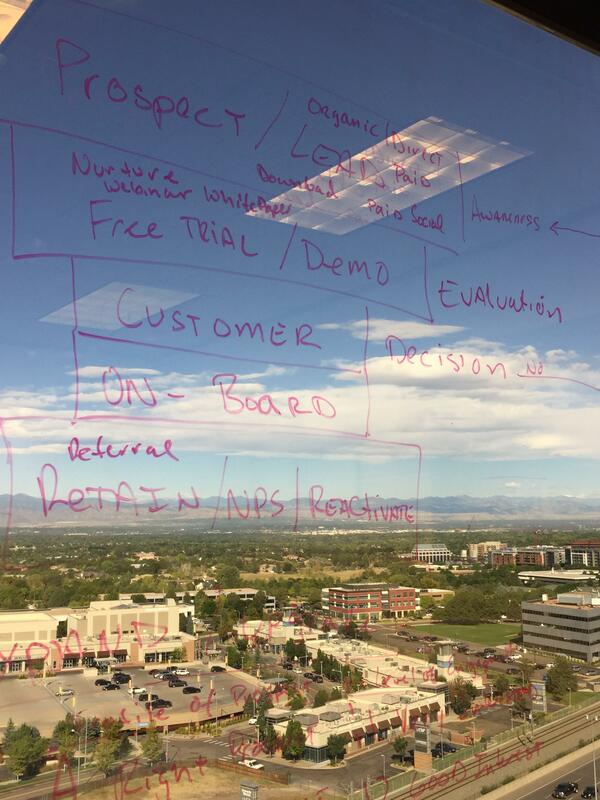 At Realvolve, we use a marketing automation platform to "double up our follow up." The method of communication depends on where the contact is in the "awareness" phase (this is what we call our top of funnel). For example, a new contact that downloaded a piece of content will receive a phone call and a video email from one of our representatives. For your first touch, leave an introductory voicemail in which you mention that you will also be sending an email. Immediately follow up with the email. For your second touch, leave another voicemail, this time mentioning a text message that you will send soon. Follow up a day later with the text message. Download all 4 of these scripts for free! "Your goal shouldn't be to buy players; your goal should be to buy wins." The difference between these two goals—buying players vs. buying wins—is that the latter focuses on the long term. In real estate, too, you must think long-term in order to win. A successful, sustainable real estate business is achieved by putting in the time and effort to get to know your contacts; by providing meaningful and consistent communications; and by gradually earning their trust and establishing deep relationships, thus moving them further down your sales and marketing funnel. Focus on building those relationships for the long haul, and you'll get to experience how good it feels to win.